It’s coming! The Lundy “snowball” fight! 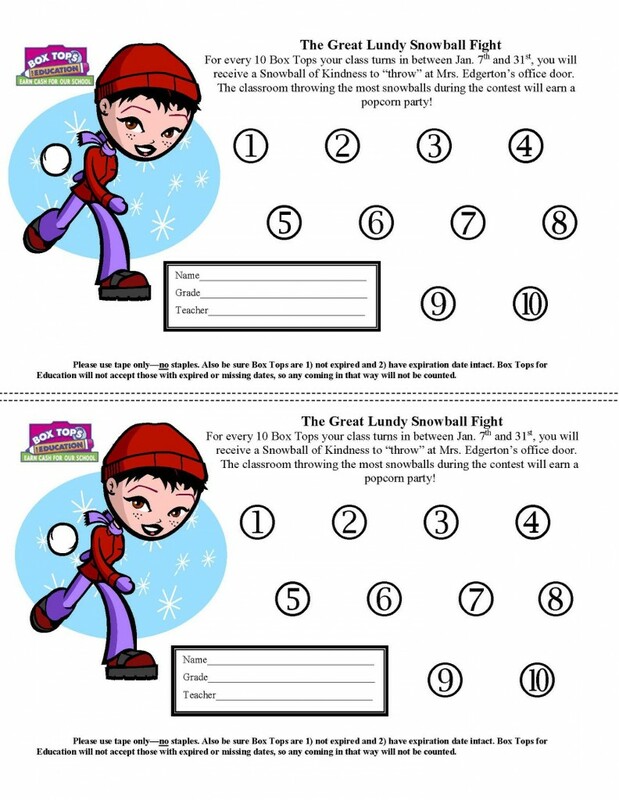 Every 10 boxtops turned in from January 7-21, 2019, earns a “snowball” for your student’s class. The class with the most “snowballs” wins a popcorn party! Everyone wins when we collect boxtops for our school! More details will be arriving with your student before the break, but here is your chance to get a jump on saving!